Pope Francis will visit Romania for three days from May 31 to June 2, the Vatican announced on Friday. 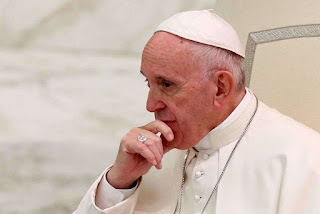 "Welcoming the invitation of the president, state authorities and the Catholic Church in Romania, the Holy Father will make an apostolic journey to the country from May 31 to June 2, 2019," the Vatican statement said. The statement said programme details would be revealed later. The visit will be the second in quick succession the 82-year-old Argentinian makes to the region as he is due in Bulgaria, then Macedonia from May 5 to 7. The leader of the Catholic Church is looking at a full schedule for 2019 having already pencilled in a February trip to Abu Dhabi and Morocco in March. That will follow hard on the heels of World Youth Day, which the pontiff will attend in Panama in January. Bulgaria, Macedonia and Romania are home to small Catholic minorities with all three nations overwhelmingly Orthodox. Visiting predominantly Orthodox nations will reinforce the image Francis wishes to project of a church seeking wider dialogue with other branches of Christendom as well as other faiths. Looking further ahead, Francis has said he hopes to visit Japan in 2019 and a trip to Madagascar has also been mentioned. But the Vatican has yet to unveil which invitations from Catholic nations will be taken up over the next 12 months.